It was a spectacular scene that no living person has ever witnessed. John James Audubon said the sun would literally be blocked out for hours as the river of living creatures flew by from sunrise to sunset. Estimates place their population up to five billion. That’s FIVE BILLION. They represented 40% of all the living Class of Aves in North America and may have been the most abundant bird species in the entire world. They reached speeds over 60 miles per hour, and when flocks came to rest in forests their collective landings could topple large trees. They seemed invincible. But in the 1870’s, European-Americans used shotguns which dropped dozens of Passenger Pigeons with each shot. They commercialized them as cheap food, sold their feathers to adorn hats, and cut down nesting-area forests. As the birds began to disappear, measures were made to prevent their total loss. Several groups were captured and put in captivity, but breeding was unsuccessful. In 1901 the last wild “invincible” pigeon was shot. 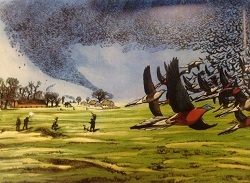 In 1914, the very last Passenger Pigeon died at the Cincinnati Zoo. They are gone. Five Billion then, zero now. 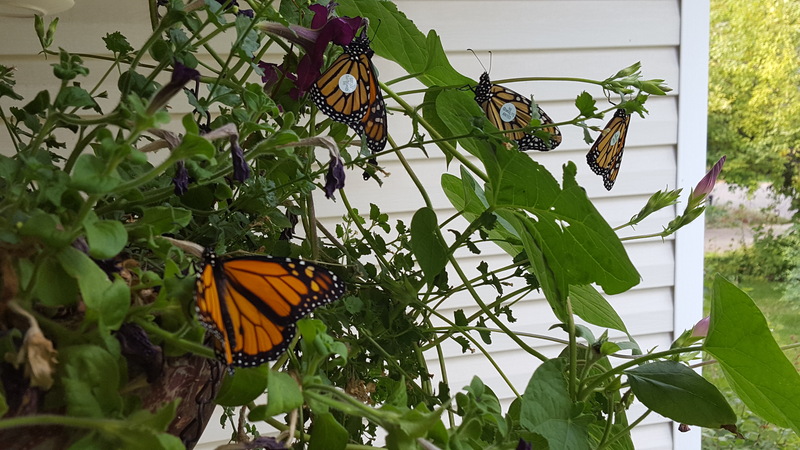 We may be currently experiencing something of that depressing magnitude as we continue to record a consistent decline in the populations of once plentiful Monarch Butterflies. 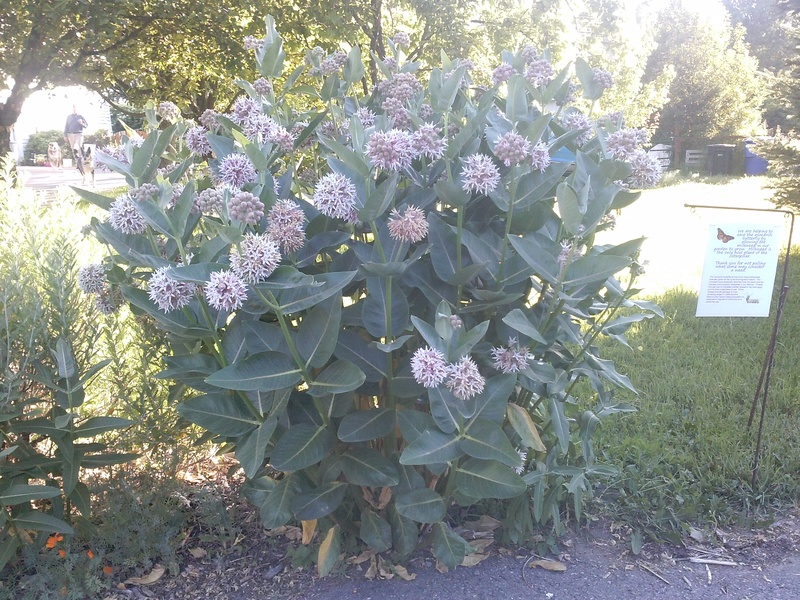 Adults may recall capturing the yellow-black-white striped larva from milkweeds in fields and along roadsides throughout Cache Valley. They would keep them in jars until the larva had its miraculous morphing, then release the dazzling orange and black flying flowers that everyone seemed to love. Unless humans take positive actions now, many newborn children may never have that butterfly-in-a-jar experience. I started tagging and releasing Western Monarchs at South Cache back in 1995. A harmless tag was placed on the front wing in hopes of tracking it to its overwintering site. We did hundreds at first, but each year larva was more difficult to find. 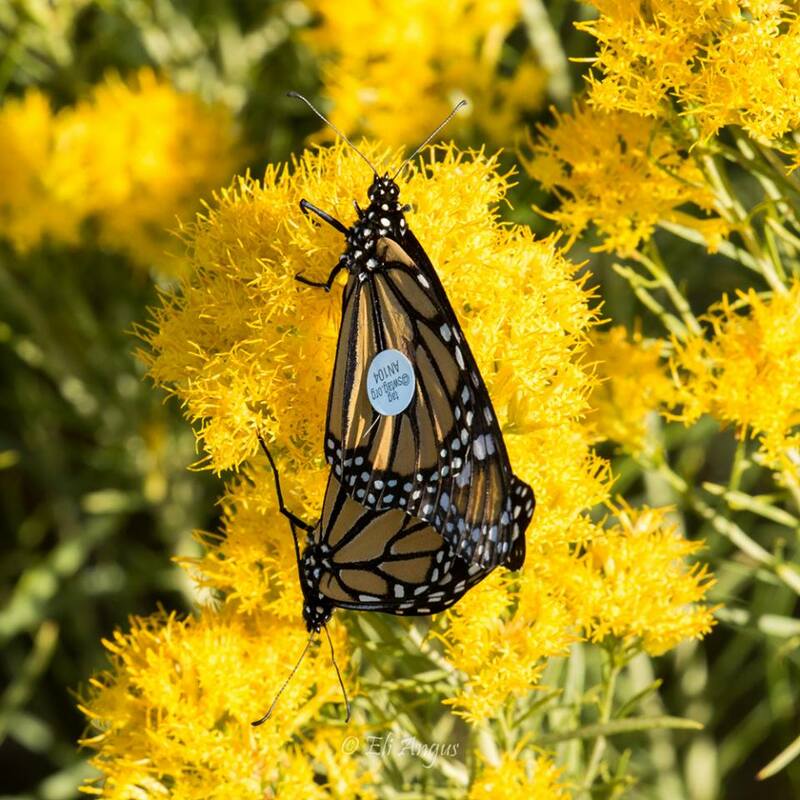 Nibley’s Becky Yeager reigns as the Monarch tagging Queen, and she works tirelessly to preserve the species. In December, six of us decided to investigate the Monarch sites in California listed by the Xerces Society. We went to each site from Santa Barbara along the coast up to Santa Cruz. 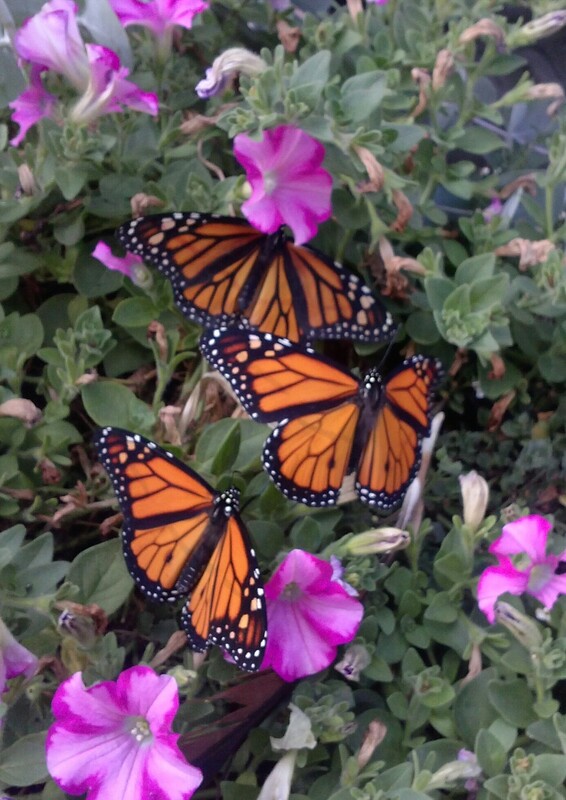 We should have seen a quarter million Monarchs, but barely observed two thousand total. 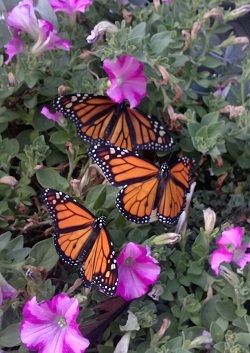 In 1997, California had 100 counting sites and observed well over one million Monarchs. In 2016 they increased counting sites to 250, but the population has dropped to less than 300,000. If five billion pigeons can disappear, what are the odds of success for Monarchs? We can do something about this. 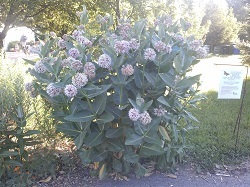 Plant milkweed, the only plant where they lay eggs. Use fertile, native plants in your flower gardens. Stop spraying pesticides. 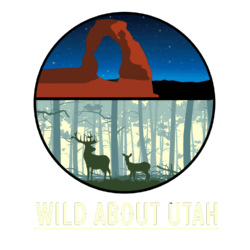 Let the Cache Valley Wildlife Association tag whatever Monarchs you might collect this summer. And join us at the Logan Gardeners’ Market for a Mariposa Festival on May 20. 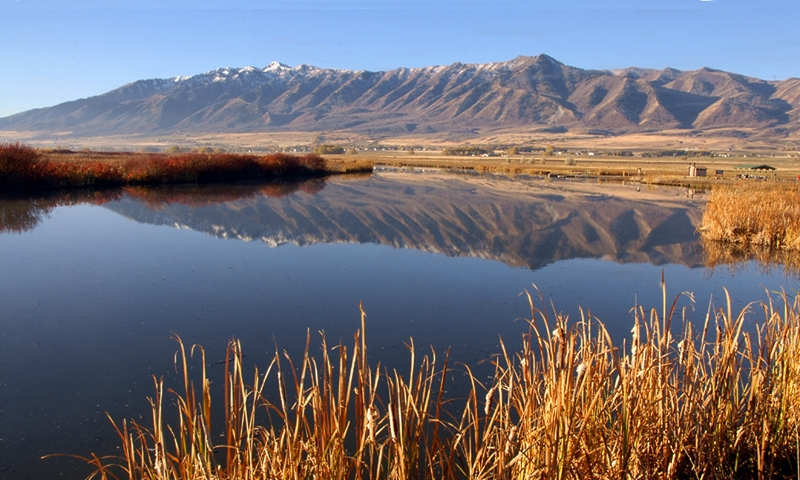 To tag butterflies found in Cache Valley, please contact Monarch Program volunteer Ron Hellstern at 435-245-9186. Please note that captive caterpillars or chrysalises are easiest to tag, as capturing adults can harm their wings. Pyle, Robert Michael. 1981. National Audubon Society: Field Guide to Butterflies, North America. Alfred A. Knopf: New York.